An Android developer is looking to provide a home for apps that are otherwise verboten on the Android Market. Independent software engineer Koushik Dutta is in the final stages of developing such an app repository, recent posts on Google+ indicate. He first detailed his plans earlier this month. Dutta is one of the developers behind CyanogenMod, replacement firmware for Android devices based on the Gingerbread OS. 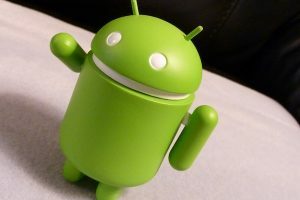 Over one million Android users have already downloaded his firmware with about 8,000 new installs every day. Obviously he has a vested interest in these types of apps, and having an integrated app store will help attract consumers considering rooting their devices. The question now is: does Android need an app store for rooted apps? "We need an app store for root apps", Dutta says in a past post. "We also need an app store for apps that are getting shut down for no good reason, other than carrier, or some random corporation doesn't like it". While the apps he believes will fit in with his plans may not necessarily be "banned" in a sense, the subject matter may be unpalatable to carrier and manufacturer partners. Rooting apps are frowned upon by Google as they may open up functionality within Android that carriers may have locked out, and the same goes for tethering and visual voicemail apps. Emulator apps have also been given the boot for copyright infringement claims by gaming manufactuers. But Dutta says that these apps need a home. "These are all completely legal", he argues. "Nintendo emulators are fine, ROMs are NOT, there is a distinction". CyanogenMod users hailed Dutta's work. "I'd love this and I'm sure so would many other users, Android should be open, apps should be available to all android users, carries should not be able to remove apps for no reason", commenter Aaron Reider opined. Others were more cautious. "I support the idea, so long as it's well executed", Burkan Mustafa added. "I'm just worried about it becoming a breeding-ground for malicious apps". A Security Issue in the Making? Mustafa will not need to worry as Dutta and the team are adding additional levels to prevent this from occurring. "We are adding more security to Superuser, and apps that use Superuser permissions need to have developers whitelisted/approved by us", Dutta tells BetaNews. For those not familiar with Android and rooting, the Superuser is essentially the same as the Administrator on a desktop computer OS. When a user gains this access -- to the root of the phone's OS -- they are given access to all features available to the operating system. Dutta's comments suggest that any application needing such access will be vetted first. While the Cyanogen App Store will certainly give more freedom to developers, it by no means will become a free-for-all. Of course just like jailbreaking and unlocking an iPhone, the user understands they're on their own if anything goes wrong. Buyer beware as they say. Google did not respond to requests for comment as of press time. Its Android Market Developer Distribution Agreement does seem to suggest however that it is the carriers that are calling the shots. Among the apps prohibited are those "that interfere with, disrupt, damage, or access in an unauthorized manner the devices, servers, networks, or other properties or services of any third party including, but not limited to, Android users, Google or any mobile network operator".